Help is needed to set up, serve and clean up for Tues & Thurs hot lunch from 11:00AM - 1:00PM in Goode Hall. Click here to sign up on-line to volunteer. 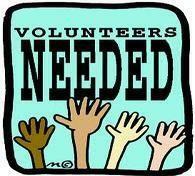 Volunteers receive 2 parent hours for their time.